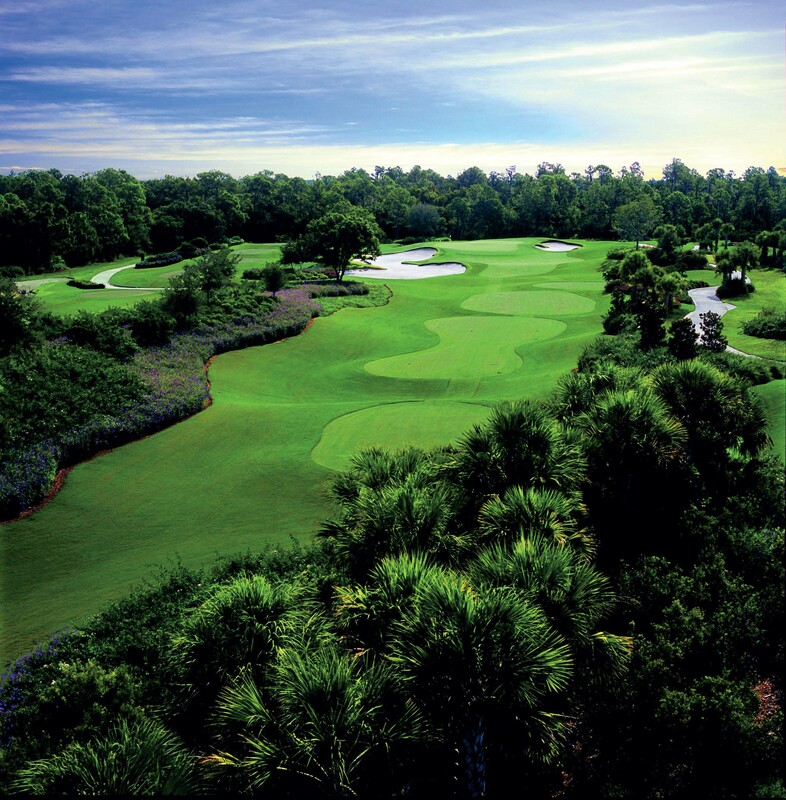 The picturesque yet challenging Ritz-Carlton Members Golf Club and the immaculate Concession Golf Club in Bradenton hosted the prestigious 101st Amateur Championship! After 14 qualifying events across the state and earned exemptions, 168 of the best Florida amateur golfers teed it up for 36 holes of stroke play before the field was cut to the low 70 players. The competitors would play one round at both The Concession Golf Club and the Ritz-Carlton Members Golf Club before determining who would advance to the final two rounds. Three players took the early lead tied for first at 67 (-5), playing the first round at Ritz-Carlton. 2018 Mid-Amateur Champion, Marc Dull, back to back Boys’ Junior Champion, Fred Biondi, and Corey Carlson stood ready at the top to play Concession in round two. The only player to score under-par at The Concession with a 70 (-2) was Tyler Wilkes, another past Boys’ Junior Champion. Wilkes, of Tampa, finished round one tied for fourth place with another familiar name, Chip Brooke, who is currently third on the FSGA points list. Marc Dull broke free from the tie for the lead with a second round 72 at The Concession Club for a 139 (-5). Dull took the lead heading into the final two rounds by one stroke over Fred Biondi who post a second round 73. Past Champion Gabriel Lench lurked close behind at 143 (-1) along with Tyler Wilkes who carded a second round 73. The field was cut to 71 players at 144 (+10) or better ready for tough competition the final two days. Saturday’s third round saw Marc Dull lead by three strokes over past Champion, Gabriel Lench, Joe Alfieri, and Michael Sakane. At one point during the round, Dull advanced to a six stroke lead with four holes remaining. Dull bogeyed holes 15, 16 and 18 to fall to a third stroke lead with a round three 74. Despite a double-bogey on the 13th hole, Lench played solid golf making four birdies on the day for a 73. Lench is fighting for his second Amateur Championship win after his win in 2014. Four-time Amateur player of the year, Joe Alfieri, posted four birdies in the final nine holes to tie for second alongside Michael Sakae, of Jacksonville, who is participating with the FSGA for the first time. Dull got off to a rocky start during the final round as he was vying for his first Amateur Championship victory. On his front nine, Dull made four bogies and a double-bogey to make the turn four-over par as Lench chased close behind. Lench started with a steady front nine making one birdie and one bogey to turn at even par. Never once taking his foot off of the accelerator, Dull carded four birdies and five pars in his final nine holes to finish with an even par 72. Meanwhile, Lench continued to close Dull’s lead with three birdies on the back nine for a final round 69. Lench and Dull finished the 101st Amateur Championship tied for the lead at 285 (-3). Ben Reichert, of Tampa, finished in the top three with consistent rounds of 72-73-72-72—289 (+1). Joe Alfieri fell to tie Tyler Wilkes and David Morgan for fourth place. Inclement weather rolled through the Bradenton area causing Lench and Dull to sit on their tied lead for a two hour and 30 minute delay. After the weather passed, the two went head to head in a sudden death playoff to determine who would hoist the trophy! On the second playoff hole Gabriel two-putted for par while Marc three-putted from 70 feet for bogey. 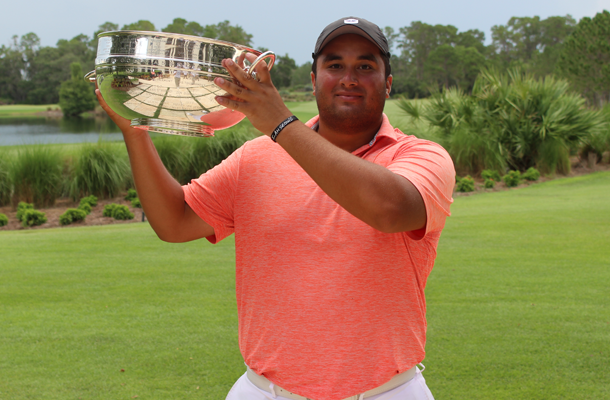 Lench earned his second Amateur Championship victory in the past four years! 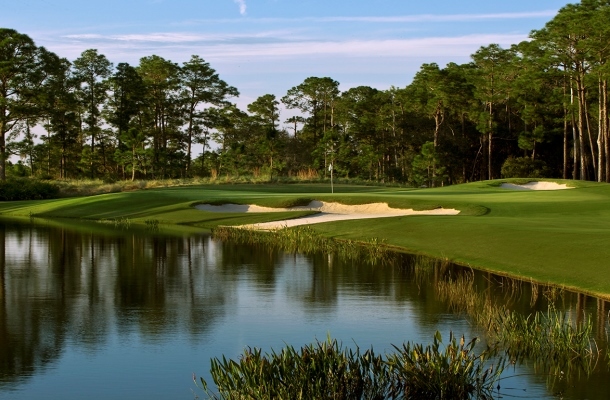 The Florida State Amateur Championship is one of the oldest and most prestigious amateur golf championships in the country. This year the Amateur will head to The Concession Golf Club & Ritz-Carlton Members Club in Bradenton. The Concession also hosted the 2015 NCAA Championship and hosts the bi-annual Concession Cup Matches. The Amateur Championship has a rich history dating back to 1913 with A.C. Ulmer winning the first of four titles. Other past champions include: Carl Dann Jr. (5 time champion & Hall of Fame inductee), Don Bisplinghoff (4 time champion & Hall of Fame inductee), Bob Murphy, Doug Sanders, Gary Koch, Jerry Pate, Buddy Alexander, and Blayne Barber. Click here for the 2018 tournament results. If necessary, there will be a hole-by-hole "sudden death" play-off for the Championship. It is the player's responsibility to be present for any playoff. Qualifying Fee: Qualifying Fee includes entry fee, range balls, and any course and cart fee for the qualifying round. Championship Fee: Fee paid by those individuals who advance to the Championship through qualifying. Includes tee gifts and gift certificates, range balls and any course and cart fees for competitive rounds. Exempt Fee: Exempt Fee includes Championship Fee and Entry Fee for those individuals eligible for exemption. Those individuals who advance to the Championship through qualifying must pre-register and remit an additional $135 either online at the FSGA website at www.fsga.org or by check to the FSGA office for advance payment of Championship Fees. Payment must be received by Thursday, June 13th by 3:30 pm, or the individual will be withdrawn from the Championship. The golf courses will be set-up at approximately 6,900-7,400 yards. 18 holes of stroke play at 14 qualifying sites. During qualifying, each player must use a golf cart. Caddies are acceptable, but he/she may not ride in a golf cart or carry the player's clubs. Players are responsible for cart fees for all practice rounds. During qualifying and the Championship proper, each player must use a golf cart which is included in the Qualifying and Championship Entry Fees. Players must pay for practice round cart fees at qualifying sites and at the Championship. Practice rounds are available one week prior to the Championship on a space available basis and after 12:00 PM the weekend prior. The cost of the practice round, including range balls and cart, is TBD. NOTE: Blank entries will be filed by the FSGA for players who become exempt after the close of entries. Beginning in 2018, the Winner will receive the exemptions above but will receive a 25-year exemption into the Amateur Championship rather than a lifetime exemption. This exemption to the Amateur will not be lost in the event a player turns professional and subsequently has his amateur status reinstated by the USGA. Winners of the 2017 Amateur and prior years are grandfathered in under the prior policy and receive a lifetime exemption, except that consistent with the prior exemption rules, they would lose their lifetime exemption if they turned professional. Winners prior to 2018 that do turn professional, will retain their exemption for 25 years, which may used if their amateur status is reinstated. The Loxahatchee Club accept Cash, Visa / MasterCard / American Express as forms of payment.